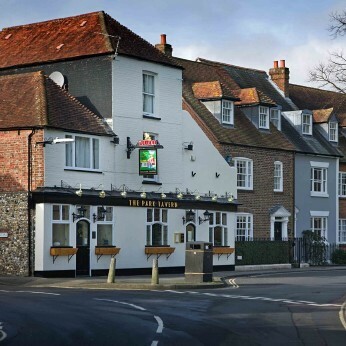 The Park Tavern is a traditional pub, overlooking Priory Park, serving quality ales and food, in a relaxed atmosphere. Park Tavern in Chichester gives a warm welcome to dogs and their owners. The pub is a family friendly pub, it serves food. Park Tavern has an outside area. The pub serves real ale, it has free WiFi. Park Tavern holds quiz nights. The pub is a member of Cask Marque. Wanna job? We've got a front of house position to fill. We have the best fun here so if you think you're up to it and have got what it takes, come & see us.